A West Texas native, Dr. Klein’s childhood passion for helping others look and feel their best ultimately led her to dentistry. 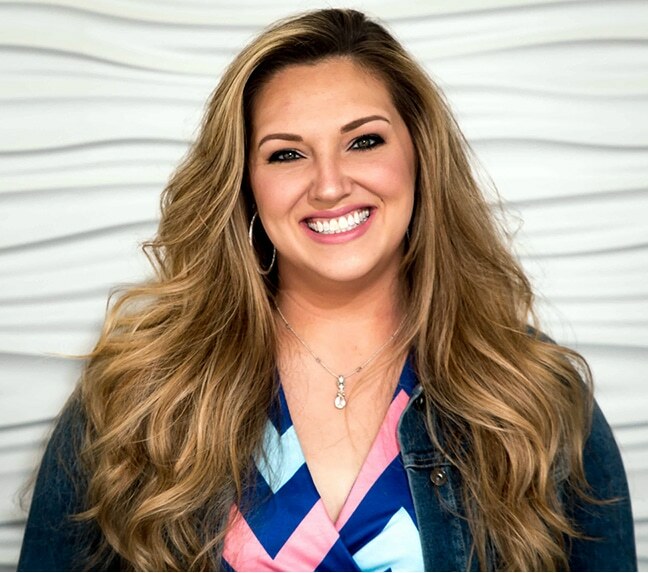 After attending Texas Tech University, where she received a bachelor’s degree in mathematics, Dr. Klein earned her Doctor of Dental Surgery (D.D.S.) from the University of Texas School of Dentistry at Houston. Dr. Klein has practiced general dentistry, cosmetic dentistry, and airway-centered dentistry in the Houston area for the last seven years and is proud to call Spring, Texas her new adopted hometown. Dr. Klein completed the 2017 Texas AAID MaxiCourse in Implant Dentistry. This is a full year course study in all phases of implant dentistry. She completed over 300 hours of surgical and didactic implantology education as a part of this program. In addition, she has successfully completed Part 1 of the examination towards becoming an Associate Fellow in the American Academy of Implant Dentistry. When Dr. Klein’s not using her artistic talents to reveal dazzling smiles, this self-proclaimed beauty product enthusiast can be found experimenting with the latest in makeup trends or pulling up a chair at a quiet wine tasting. That is, of course, when she’s not relaxing with husband, Mike, son, Gavin, and baby girl, Sophie, during a Texas Tech football game. Go Red Raiders!